With so many lovely walks in the area and Glyndŵr’s Way passing through Llangadfan, Cann Office is the ideal place to stay or stop off for refreshments. The Cann Offices’ unbeatable location in the heart of Mid Wales countryside offers you that perfect short break to relax, unwind, get active or simply explore the beautiful surroundings of Mid Wales. Located in the heart of the Welsh countryside, equal distances from Machynlleth and Dolgellau to the West and Welshpool to the East. A place for all seasons – log fires, snugs, comfy sofas in the autumn and winter, our fabulous gardens, patio and terrace area to sit outside and enjoy the spring and summertime. An adventure playground for those seeking an active holiday- from traditional activities such as walking, fishing, mountain biking, cycling, swimming, horse riding and golf to the ultimate in thrill seeking experience adventure at zip world, Europe’s longest zip line, skyride, forest coaster and much much more, for the energetic there is white water rafting, paint balling, archery and quad biking to name but a few. Park up the car and discover the beautiful scenery surrounding the Cann Office, rolling hills, quiet winding country lanes ideal to take a stroll along and discover hidden gems off the beaten track. 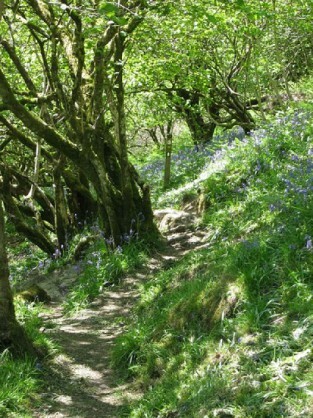 Folklore has it that this hill was the home of the last Dragon in Wales. Smoke and fire were said to have been seen coming from a hole in Moel Bentyrch, where the Gwiber or flying serpent was said to live. 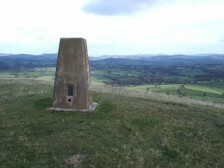 At the top of Moel Bentyrch is a Triangulation Pillar, built around the late 1930’s by the early surveyors at Ordinance Survey to map and survey Great Britain more accurately. It is a short, challenging walk, on a narrow sheep track that can feel precarious at times, but on a clear day the view from the top is spectacular. Named after an influential 18th Century hymn writer which visits many of the places associated with her life, including her memorial Chapel at Dolanog. A lovely 7 mile linear walk along the River Vyrnwy, through the countryside that inspired her hymns, with the Berwyn mountains forming a splendid backdrop. 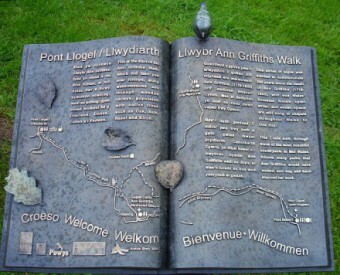 The path runs from Pont Llogel to Pontrobert with scenery including river valley and gorge, medow, woodland and forest. 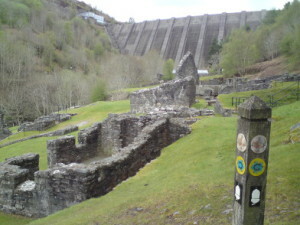 The Cann Office is located right on the Glyndŵr’s Way, the 135 mile trek runs through the village of Llangadfan heading North to Lake Vyrnwy. The trail celebrates Welsh culture and natural history, exploring rolling farmland, open moorland, forests, lakes and reservoirs and re-live the adventures of Owain Glyndŵr. 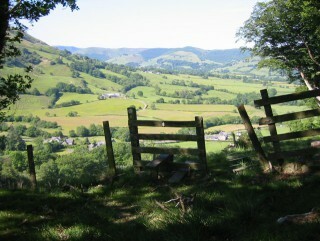 The Glyndŵr’s Way takes you to some of the finest landscapes features in Wales, including the tranquil Radnorshire Hills, spectacular Cadair Idris and the beauty of Lake Vyrnwy. Breakfast, Packed Lunches and Home cooked evening meals all available. We have a portfolio of local routes and have an extensive knowledge of local footpaths and are happy to help you plan your route. We can arrange for luggage transfers if you are walking from place to place. We can cater for groups. 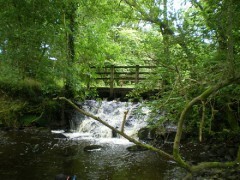 Please contact us or telephone 01938 820202 to discuss your requirements and plan your perfect walking break.